Thanks for visiting my page! Growing up in Key West is rare, and I was lucky enough to grow up fishing on my father's charter boat Miss Kasey. 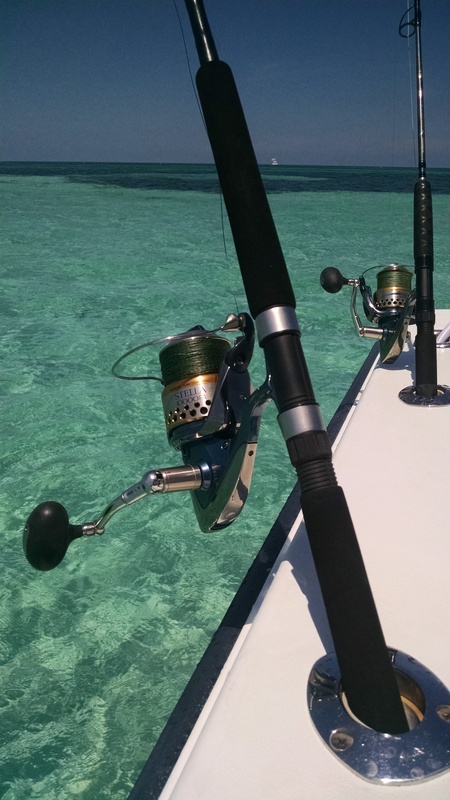 Over the past 25 years, I have fished extensively throughout the Keys, Cuba, and the rest of the Caribbean. I've run private yachts and charter boats from New York to South America, Central America and the entire gulf of Mexico. I have run thousands of fishing trips in Key West over the past 20+ years and I will do my best to make your trip unforgettable. I run every trip on my boat, no hired captains or bait and switch. Many charter companies will tell you anything to get you to book with them. Make sure you speak to the person who is actually taking you fishing! I pride myself on being honest with my customers. If you have any questions I can be reached through the phone number above, text, or email. The Sea Change is a custom built 28 Whitewater. She is powered by a 300 Yamaha four stroke engine giving a 30-35 knot cruising speed, giving you more time fishing with a greater range. There is ample storage for live bait in the 60 gallon well, and a clean bathroom in the console. Ice is provided in the coolers for all food and drinks, and the coffin box forward can hold up to 300 pounds of fish. All tackle, licenses, and bait are provided. 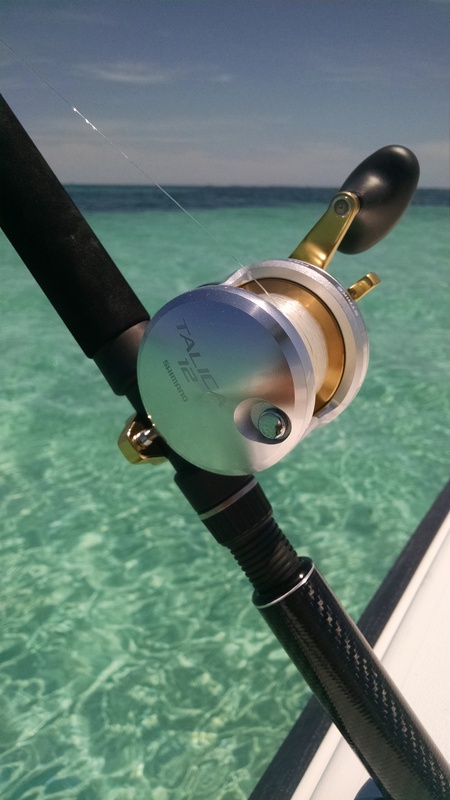 Tackle consists of spinning and conventional reels from Shimano, with line classes from 12 to 25 pounds normally used. Heavier lines for sharks and bottom fishing are also used. 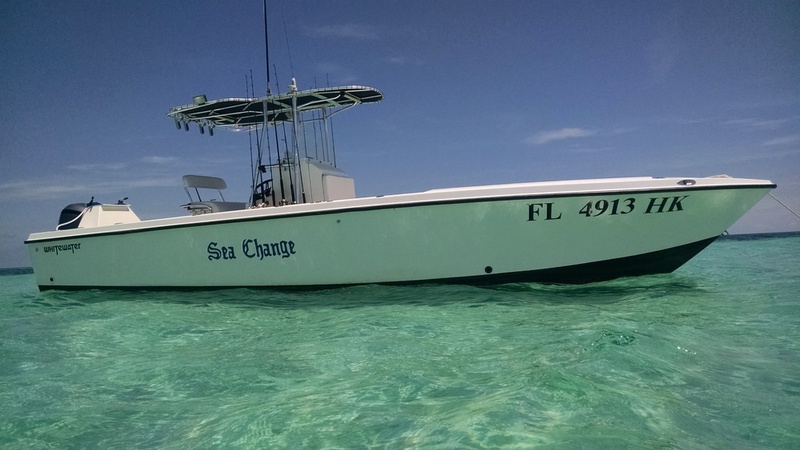 Sea Change is well equipped whether running offshore, live baiting for sails, tarpon fishing in the harbor, or spending a relaxing day at the sandbar with family. Why should I book a light tackle boat? Time is a big factor on most trips. You don't want to spend 2-3 hours of your trip chugging along trying to get to where the fish are. Having the speed to comfortably get you to the fish is key. This gives you a huge advantage in the amount of area you can cover on your trip. This is particularly important in bottom fishing. Draft is also important. 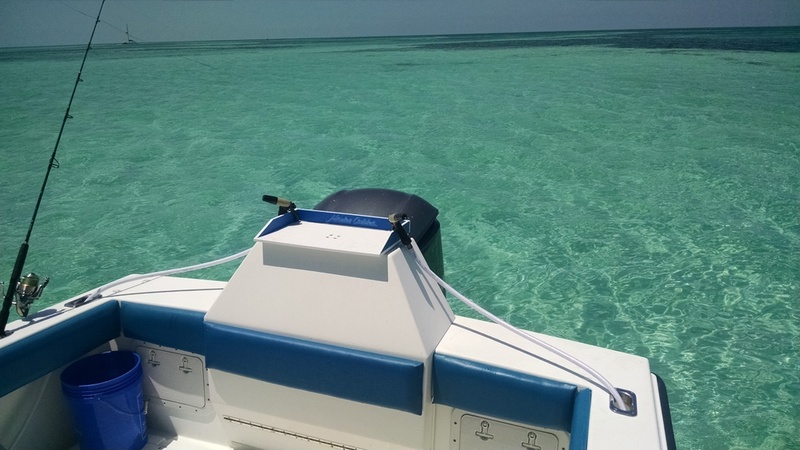 The big boats can't get into shallow water areas that are key to fishing Key West. Pilchards, mullet and other baitfish live here. There are channels and basins these boats just can't reach. Also, these shallow areas always stay calm and make for a comfortable trip when the waters get too rough to fish offshore. Fishing light tackle is also just more fun. Sitting in a chair cranking in a fish with a big reel that overpowers them isn't my idea of fun. Fishing 12-25 pound line is so much more interactive and challenging. I like the fish to fight back and my customers to feel like they did more than crank in a fish on a winch. Having a more fuel efficient boat lowers my prices. I do not charge a fuel surcharge. Not having to pay commissions to booking booths, concierges, or online booking websites passes the savings on to you. These usually increase your trip cost by up to 30%. It's always better to book directly with the person who is actually taking you fishing. Not a broker, not the "owner", the actual guide.